Yeast ................. 1 cube (or) Dry yeast 1tbsp. 1. Make a well in the flour, sprinkle sugar and yeast on top of this. Add salt and ghee on the side and knead the flour with luke warm water. 2. Leave the dough for about an hour to rise. 4. Apply water on one side and put the watered side on a hot griddle. 5. Roast the naans using a little ghee . Roll out the naan and apply crushed garlic. Roll out the naan and spread finely chopped mint leaves. 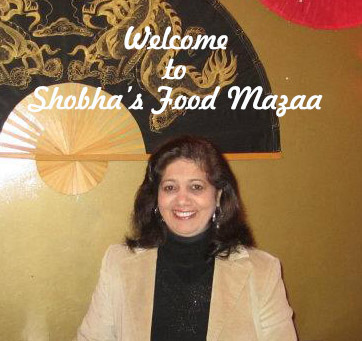 Delicious Nann Shobha, always homemade is best. I love your variations. Nice recipe. 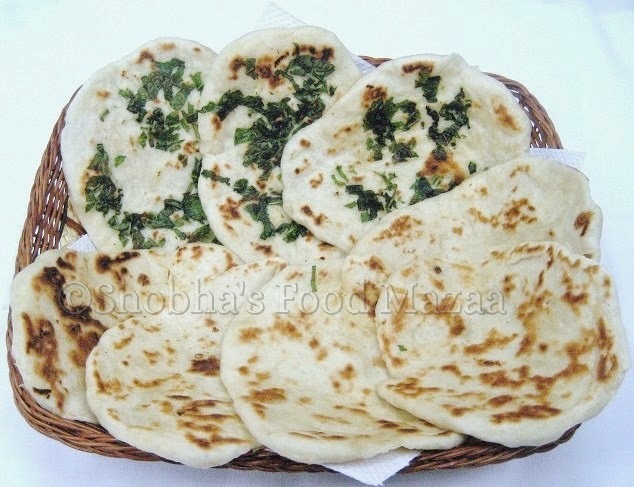 i love naan.. nice preparation..
U r most talented didi, so perfectly made those naans. Awee such a sweet compliment..
Wow I love these the recipe is something in my forte. Thanks.